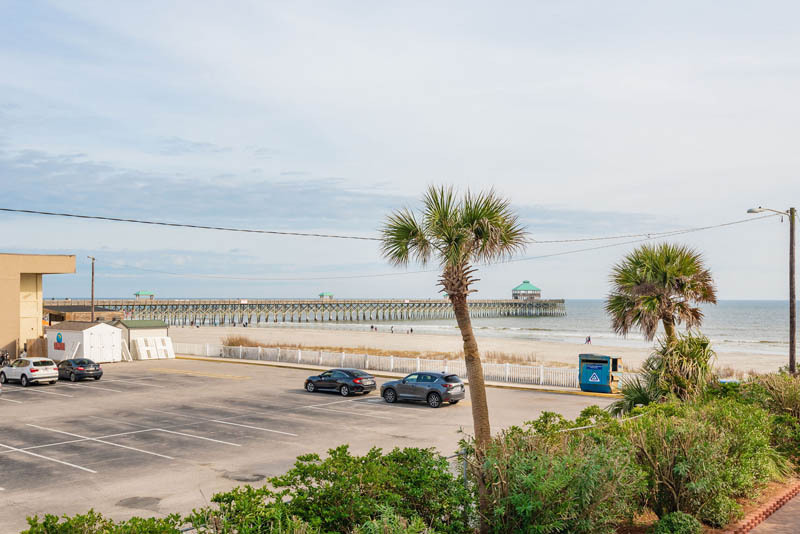 Here is a wonderful opportunity to own in the premier oceanfront community on Folly Beach, the Charleston Oceanfront Villas. 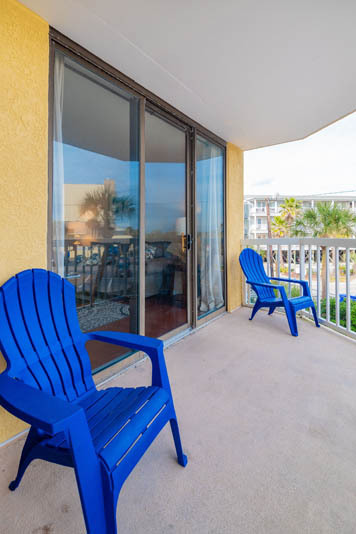 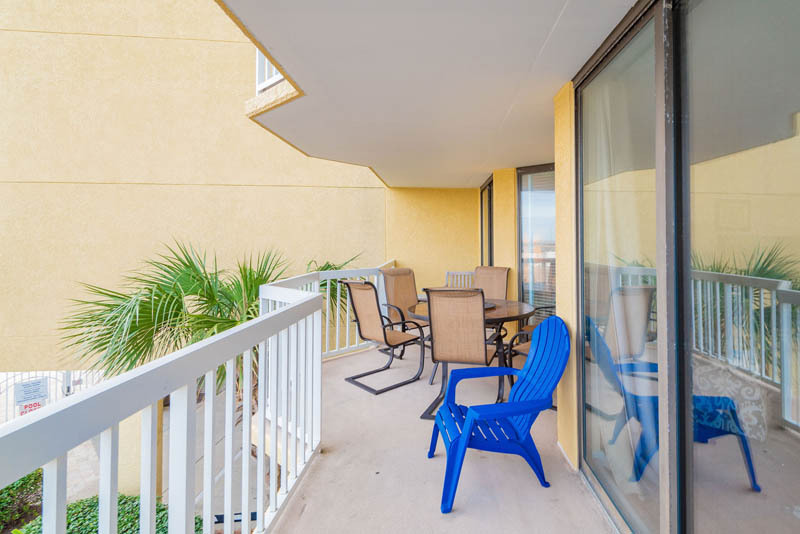 Enjoy awesome views of the Atlantic Ocean and the Folly Beach Pier from your balcony. 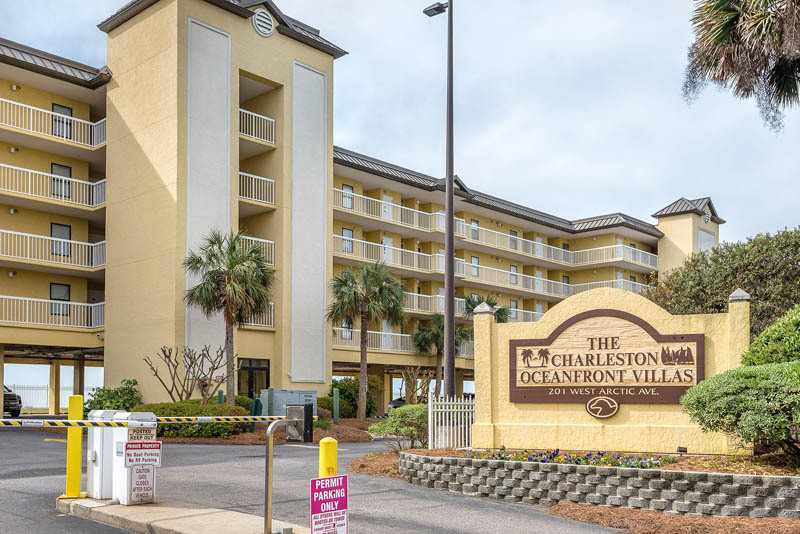 Walk to Center Street for shopping, dining, and nightlife and only a 20-minute drive to historic Downtown Charleston. 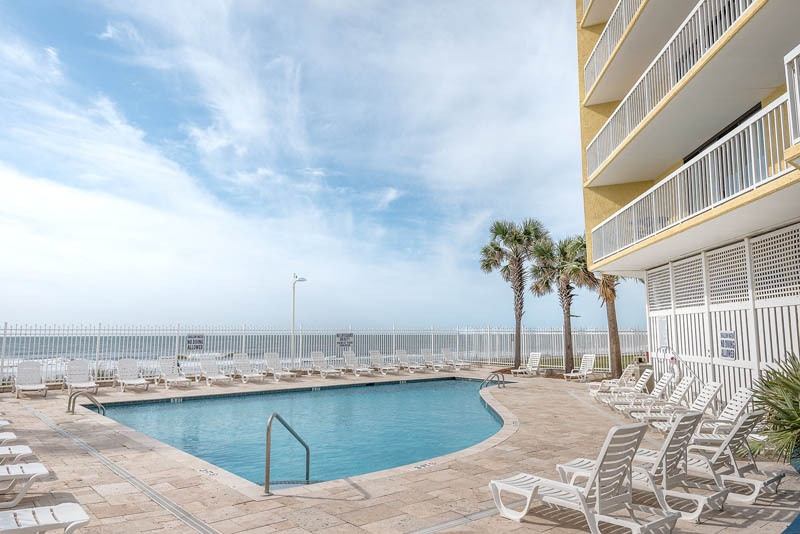 Swim in either of the two community pools. 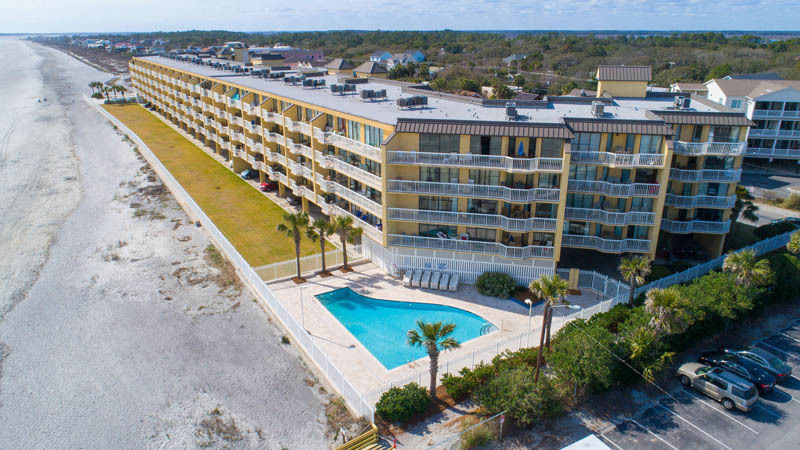 Be a part of one of the best-constructed buildings and strongest regimes on the beach. 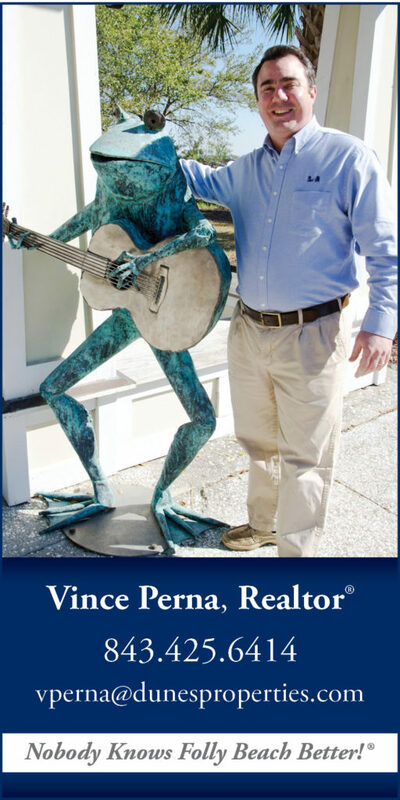 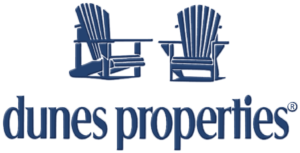 Low fees and insurance! 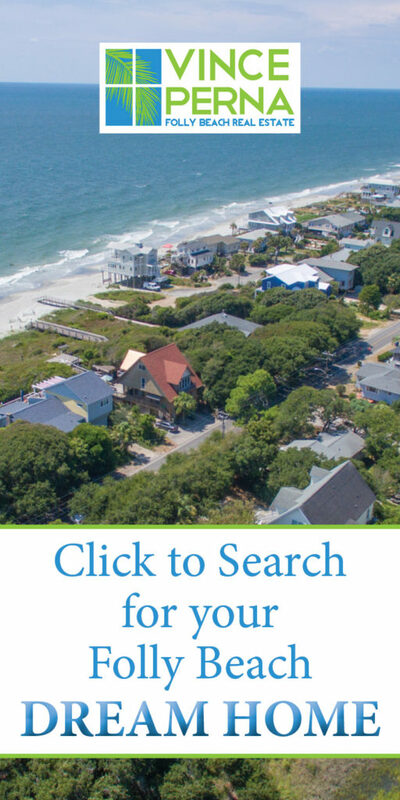 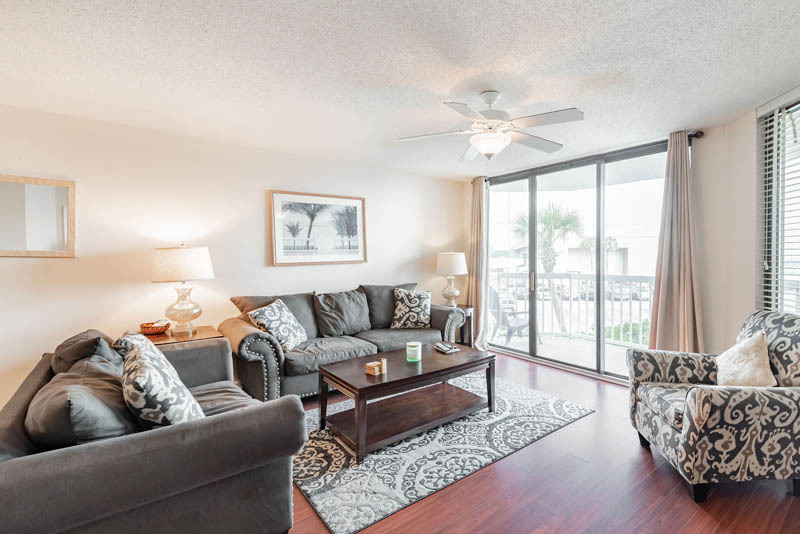 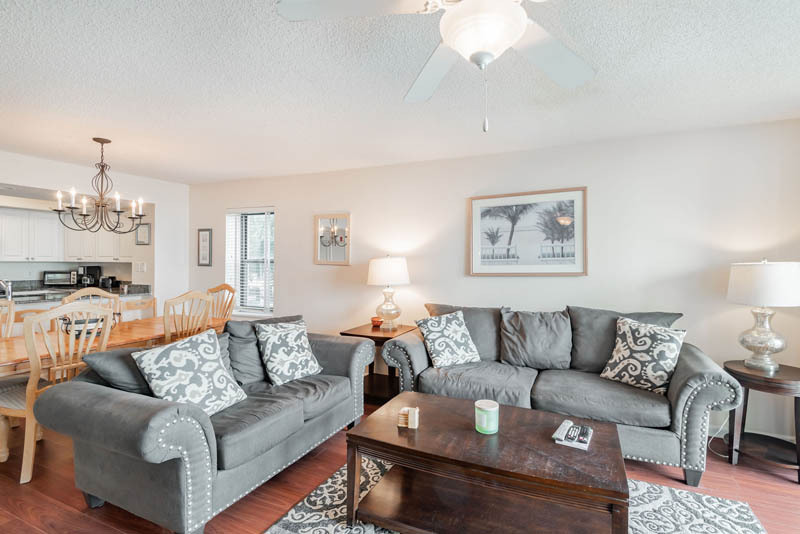 Enjoy solid rental income from one of the most sought after vacation destinations on Folly, or use it as your private vacation home or primary residence. 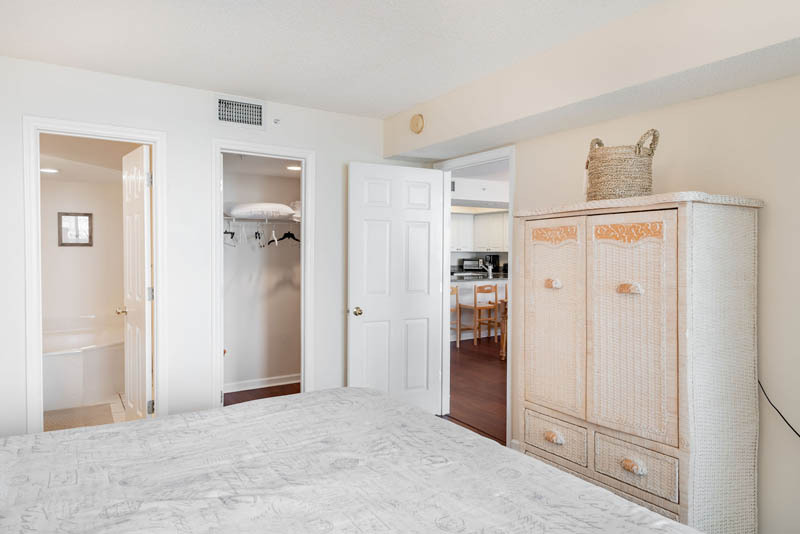 This villa has an updated kitchen, access to the balcony from the living room and master bedroom, and a total of 4 bedrooms and 3 full bathrooms. 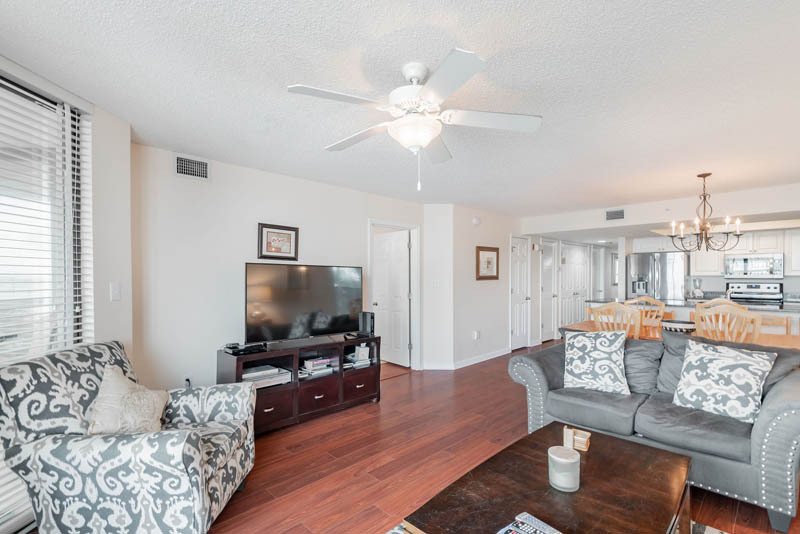 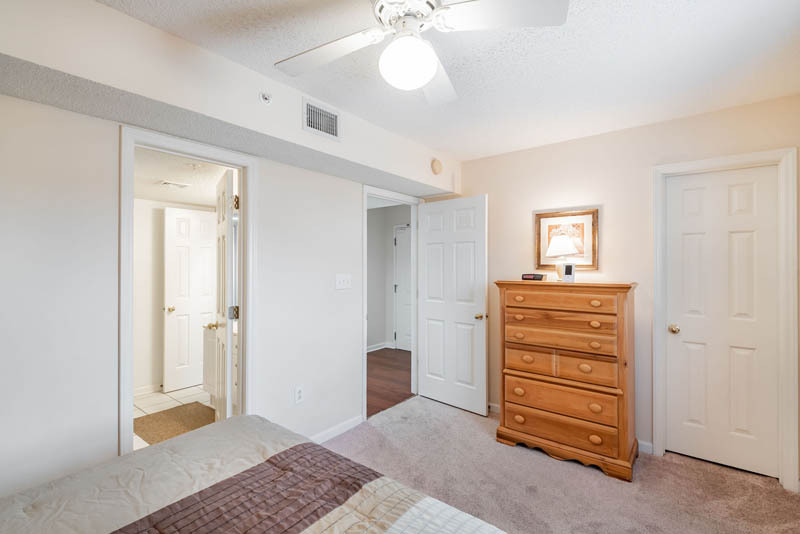 Walking in the door, the hardwood floors greet you in the foyer and continue down the hallway and through the kitchen and living area into the master bedroom. 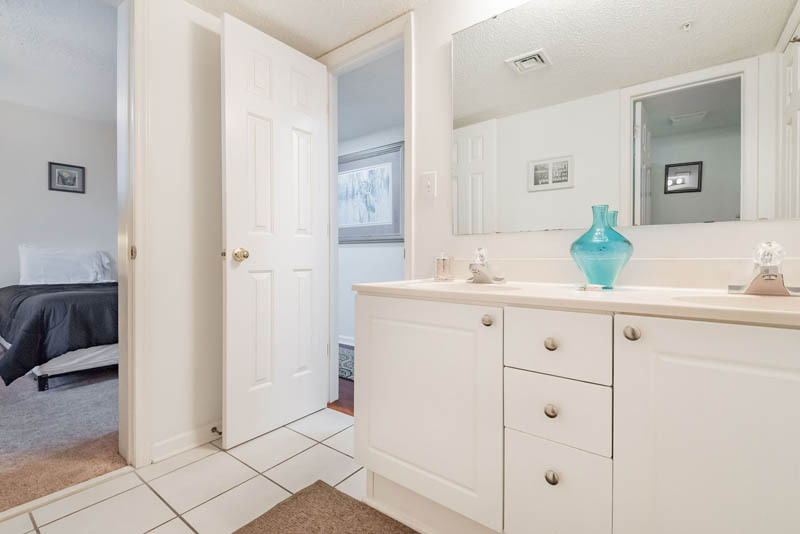 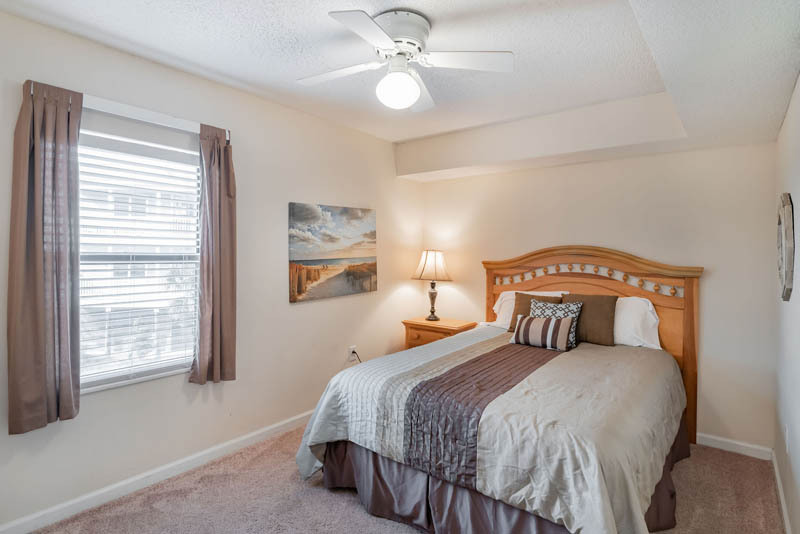 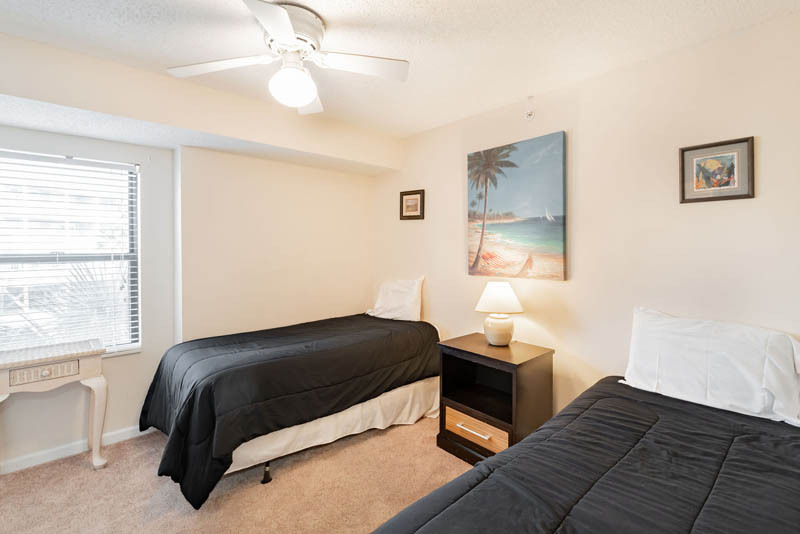 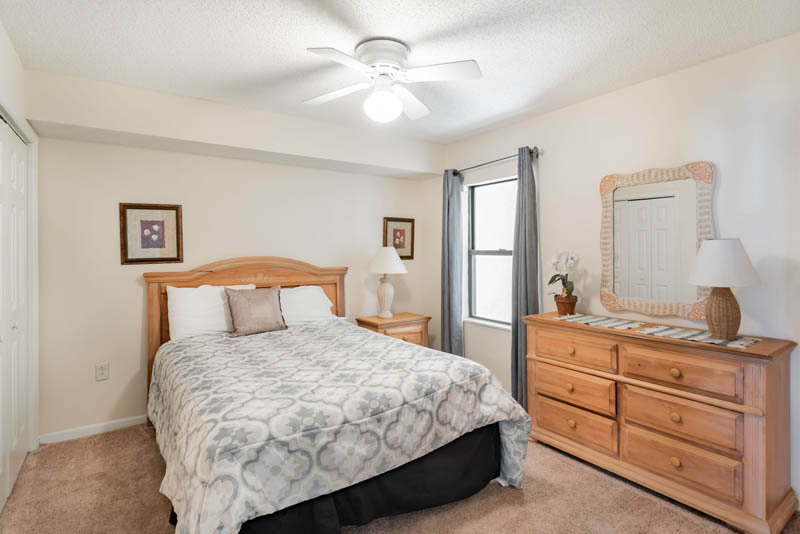 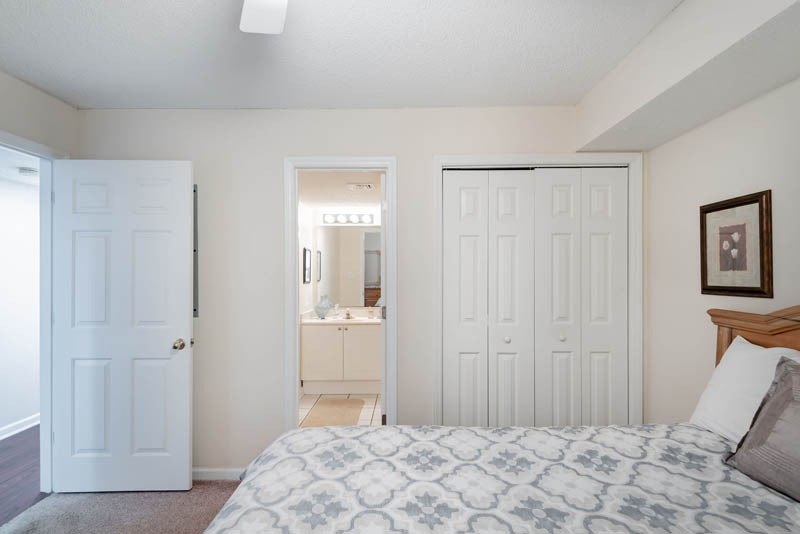 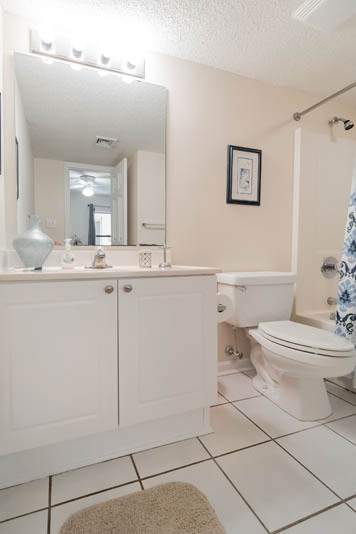 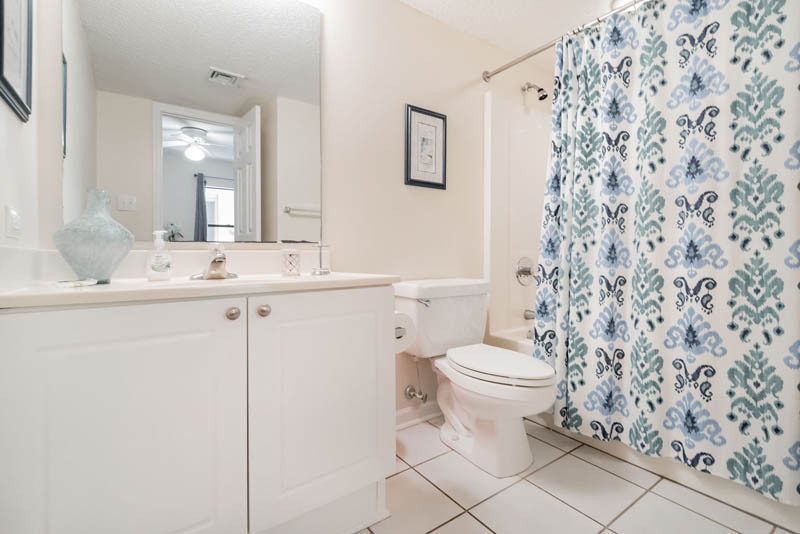 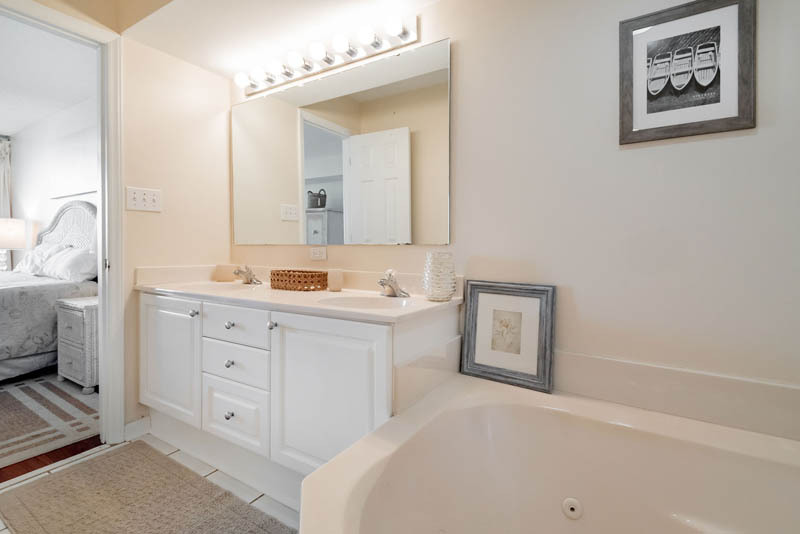 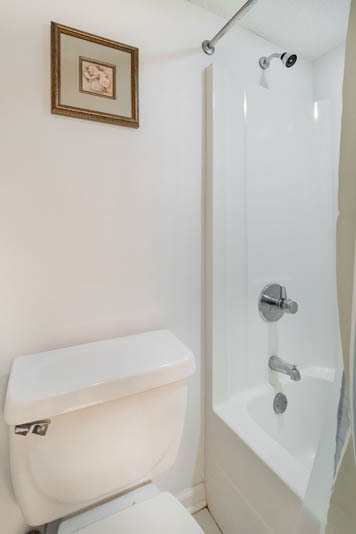 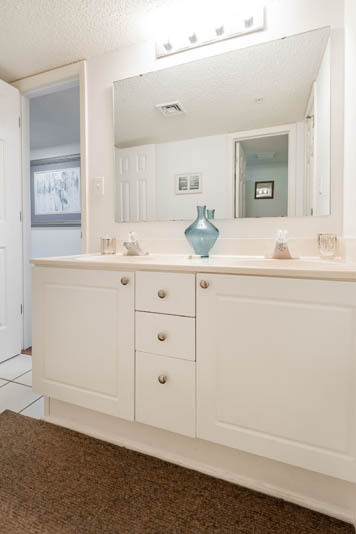 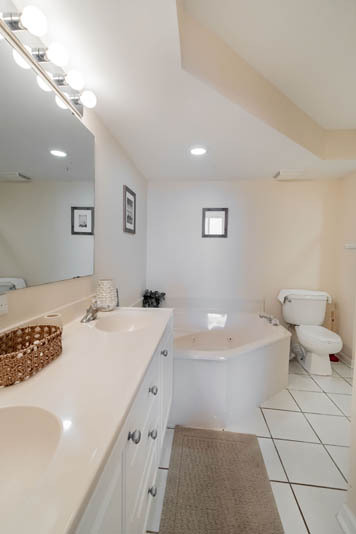 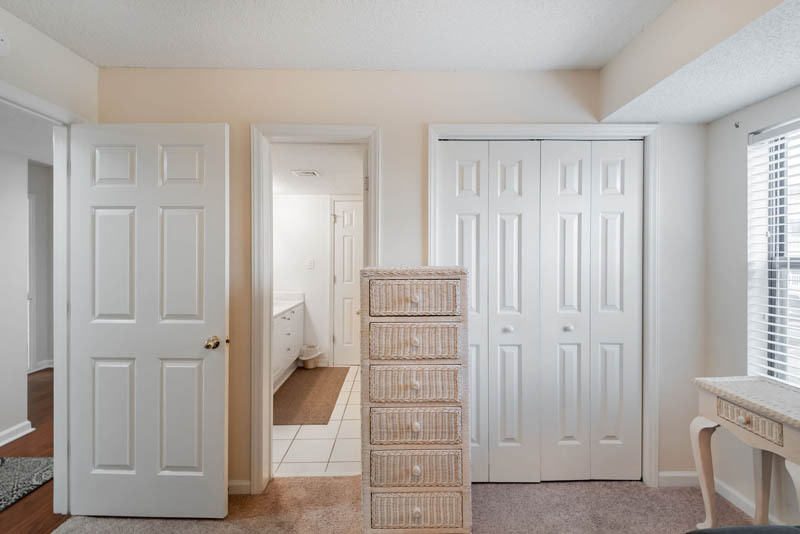 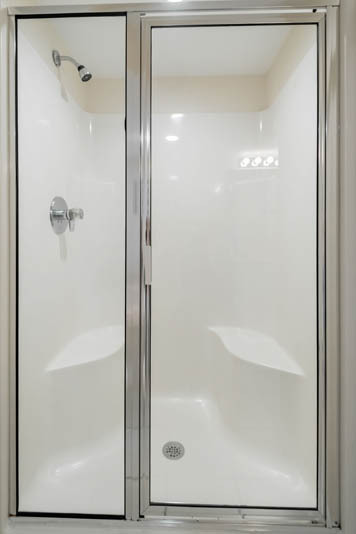 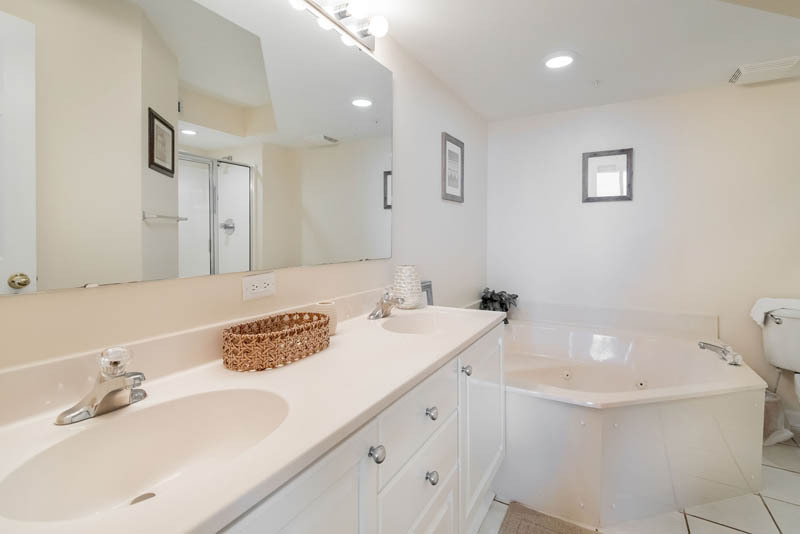 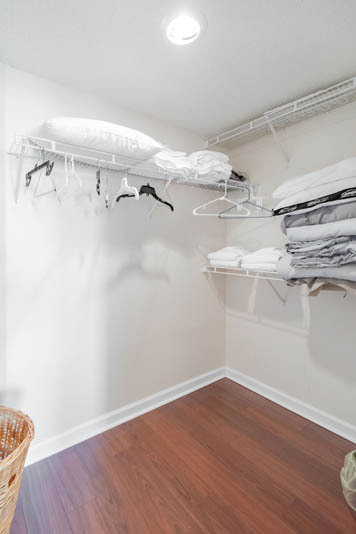 Two bedrooms share a jack and jill bathroom, another has a private bathroom, and the master bedroom has a large master bath with a shower and jetted tub. 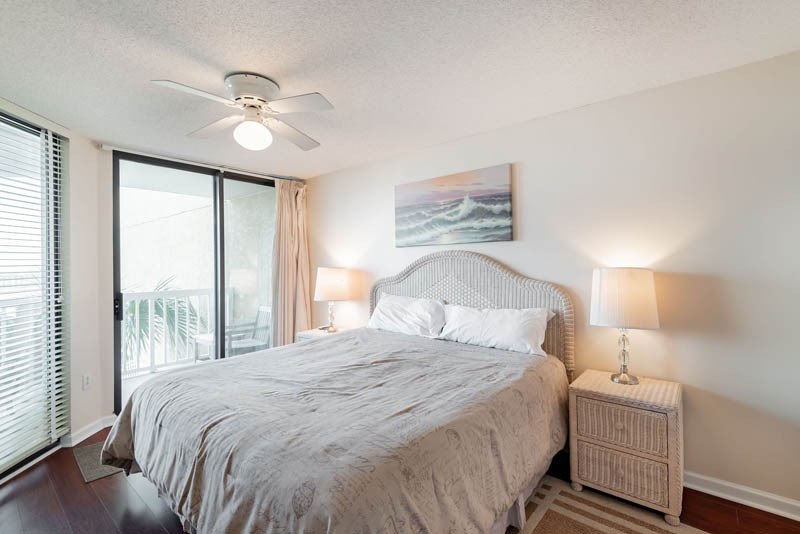 The master bedroom has an entrance onto the balcony for checking out the waves and seeing what the day’s weather has in store. 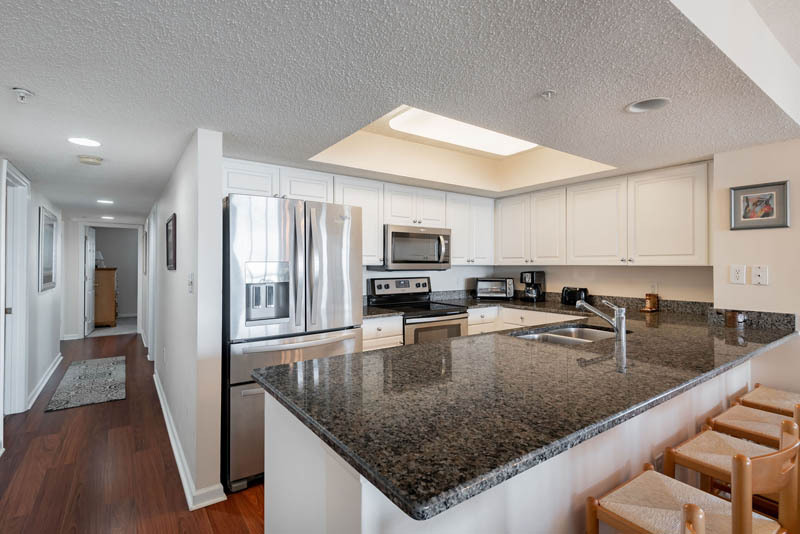 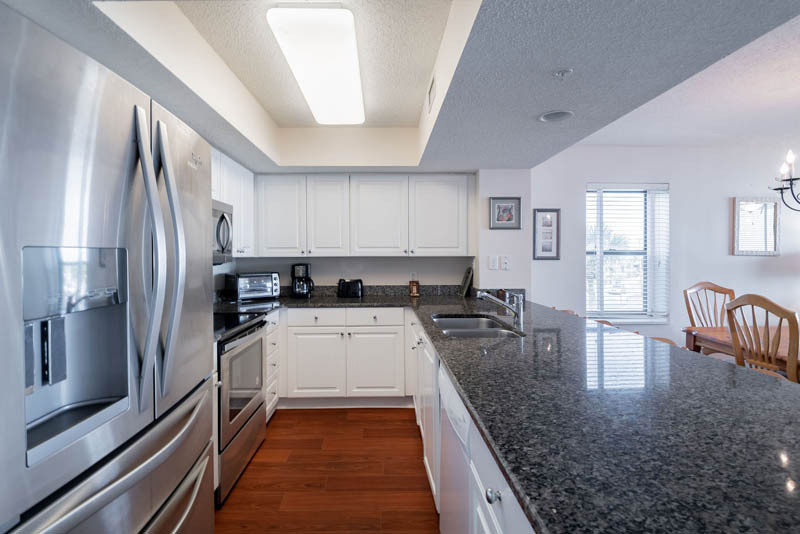 The kitchen has been updated with granite countertops and all new appliances. 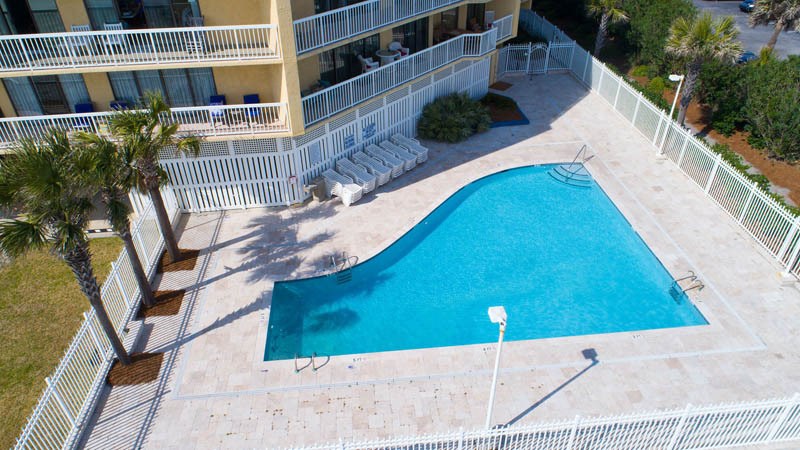 From the location in the building, it is a quick flight of stairs down to the ground level, pool, and beach access. 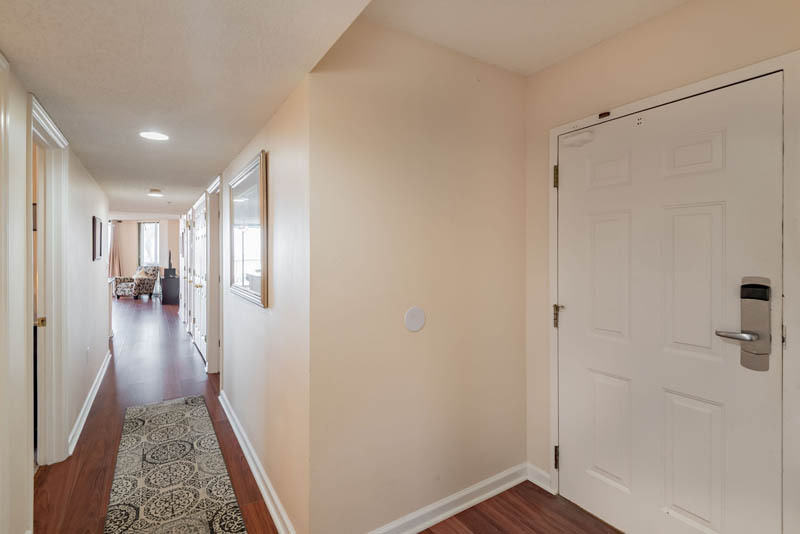 There are also 2 elevators in the building for easy access. 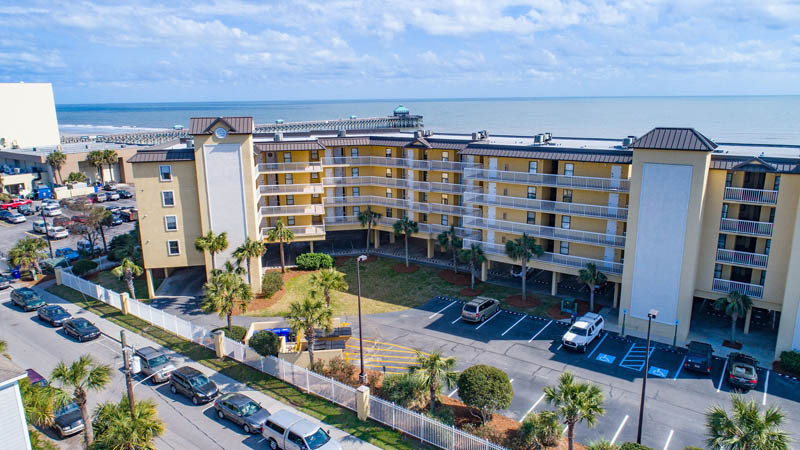 The building is gated and there is covered parking underneath and overflow in the parking lot. 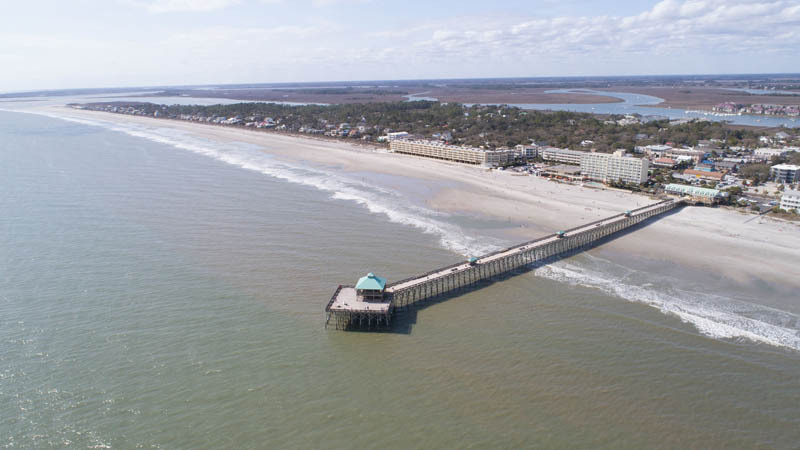 The location can’t be beaten with restaurants steps away and the Folly Beach Pier two doors down. 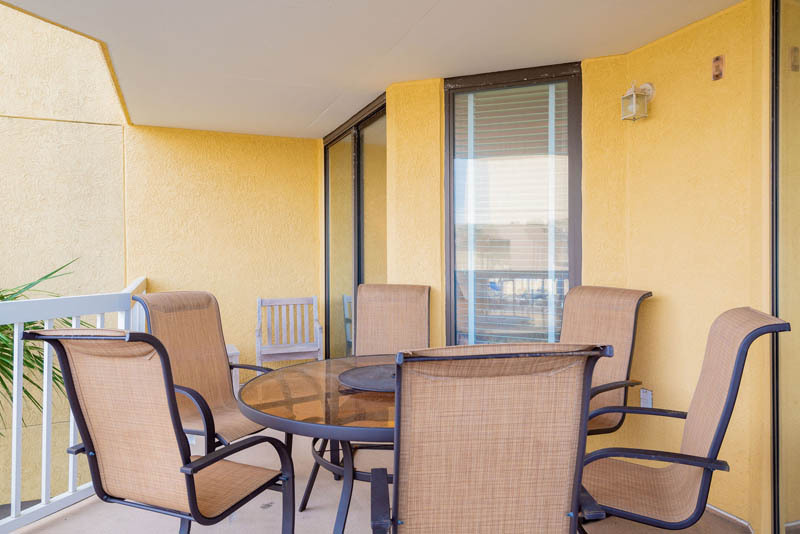 This villa is being sold fully furnished with vacation rental bookings in place.